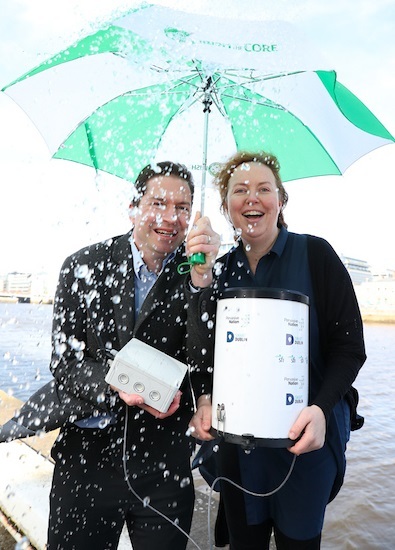 CONNECT has partnered with Smart Dublin, an initiative of Dublin City Council and the other Dublin Local Authorities, and Intel to deploy low-cost sensors across the capital to monitor rainfall, weather conditions and river levels. The second phase of the project, led by the CONNECT Centre and Dublin City Council, involves scaling these river and rainfall sensors to more locations around Dublin. The sensors are currently being deployed at several locations around the city including Ballymun Library, the Bannow Road Drainage Depot in Cabra, the storm overflow tank in Clontarf, and at the UCD campus in Belfield”.